The 5. 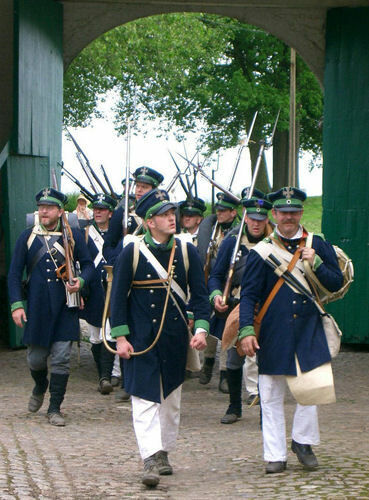 Prussian Brigade is an historical re-enactment group. 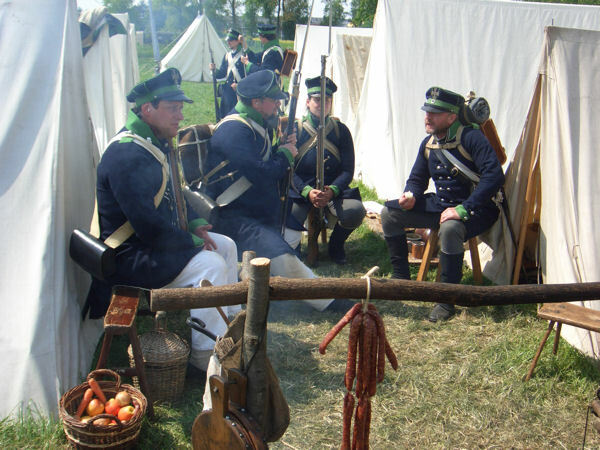 We attend events across Europe, where we recreate the history of the napoleonic age for us and the visiting public. Military encampment with cooking fire, camp followers and guards are important part of our presentation. Visitors are invited to visit our camp, take part in our activities and cheering us into battle with the enemy. This three regiments joined as Infantry Brigade fought against Napoleon and the French Army in the battles of Ligny and Waterloo in 1815. As 5th Westfalian Landwehr Infantry Regiment we portray the life of this soldiers. Resting in camps is one part, standing in the firing line with our muskets with fixed bayonets is the other part. We try to portray a unit of normal soldiers. Not the best-trained, but tough and experienced. Solid research and continuous learning are central to our Prussian portrayal and we aim to achieve a high level of authenticity. Our uniforms and weapons are based on a range of historical sources. 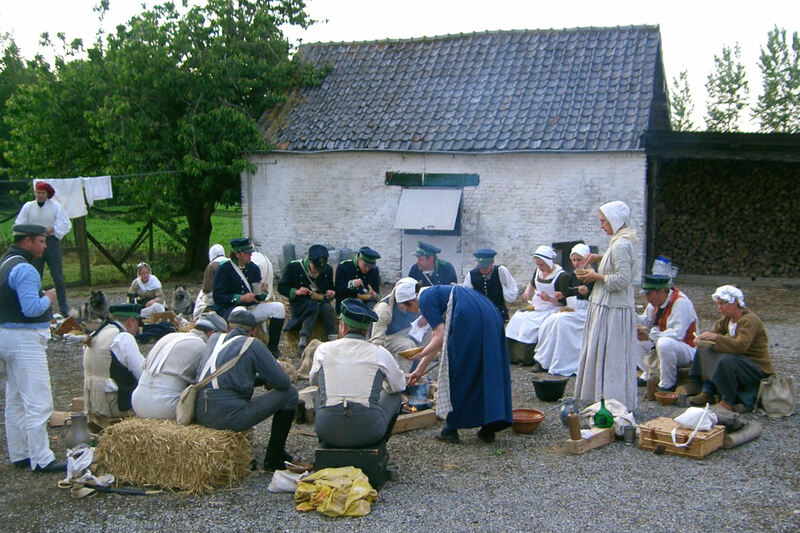 Some of our members are re-enactors since many years, always ready to provide an insight into all aspects of the period we portray. We are always happy to hear from potential recruits and look forward to expanding our unit. 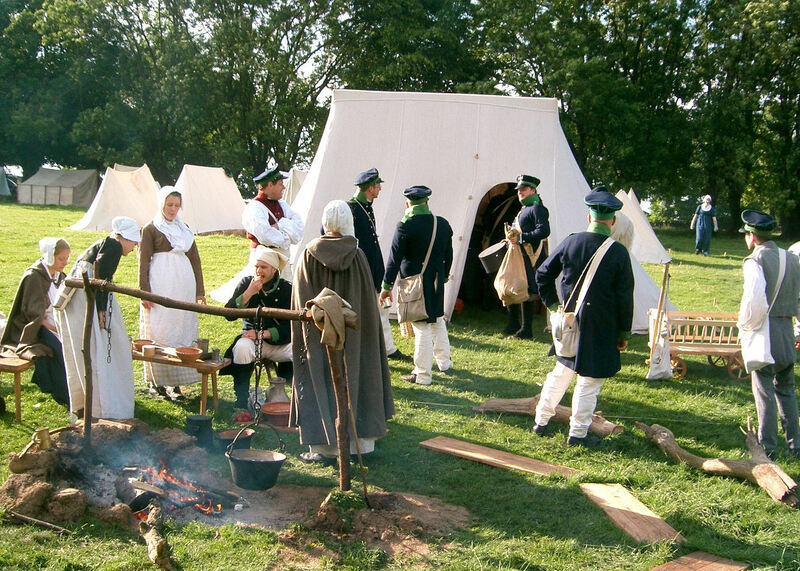 For more information on our re-enactment identities, please click on the link from the menu and contact our webmaster.